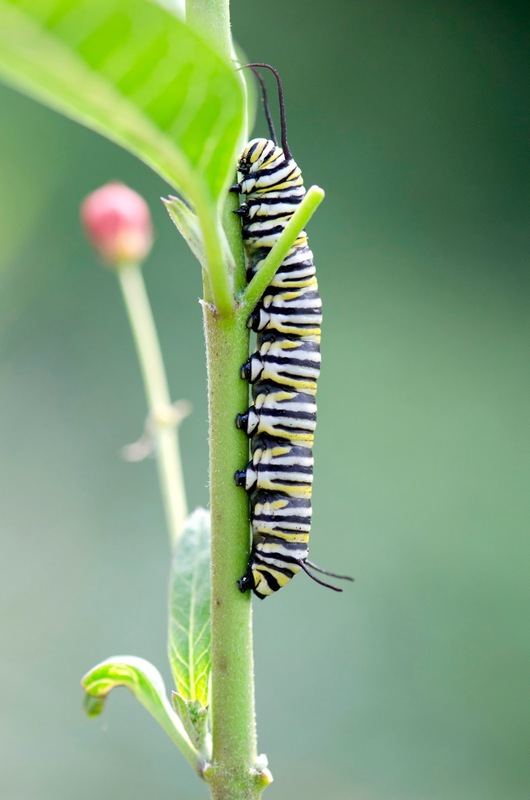 I cannot let the summer end without sharing at least one lovely monarch caterpillar, Danaus plexippus. 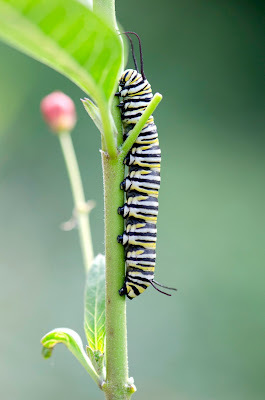 Monarch caterpillars are not very hard to find; just slowly examine a few milkweed plants and you'll eventually find them. What's tricky is getting its entire long caterpillar body parallel to the face of a camera lens so all of it is in focus. Click to enlarge. "I wonder if the caterpillar at the threshold of death ever knew that she would get metamorphosed into a butterfly that she could fly."